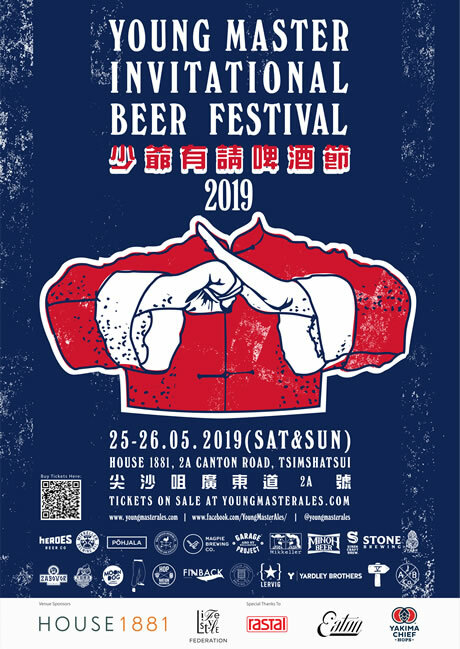 Asia’s leading craft brewer, Young Master, is bringing back its signature invitational beer festival, YMIBF, to Hong Kong this May. Invited 22 brewers from all over the world, bringing up to 160 unique creations, with almost half of them are first presented in HK! The two-day festival will be split into four different free flow tasting sessions with unique theme, either focusing on hop-forward beers, sour beers, contrast between “session” and “strength” beers, or a freestyle session featuring selection of creative, category defying beers. © 2019 House 1881 All rights reserved.